Keeping a business relationship with Chinese importers or agents by email just does not work in 99% of the cases, and starting it by emailing from your office is almost impossible, as you will get ignored. 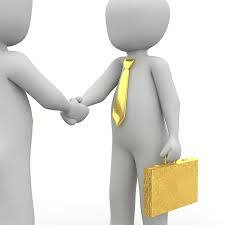 It is very hard to find the right Chinese partner or clients without knowing the market and having contacts in China. We organize visits to China to one or two cities, with a duration of 3 and 5 days respectively. This trip is aimed to make you become familiar with the Chinese reality of the sector and make meaningful connections with companies’ decision makers, leading to sales. attend seminars to understand the market and network with industry professionals. After the meetings conclude, it is essential to follow up properly. Doing so from your country is not always as easy as it seems since Chinese importers hardly have time to read and answer to the tons of emails they receive, especially if the emails are in English but the decision maker frequently does not speak it. From China, we follow up on the next steps and commitments made by both parts for several weeks after the trip concludes. We can also provide the support of an interpreter if it is needed for the meetings.